News on the 6mm Winter range. 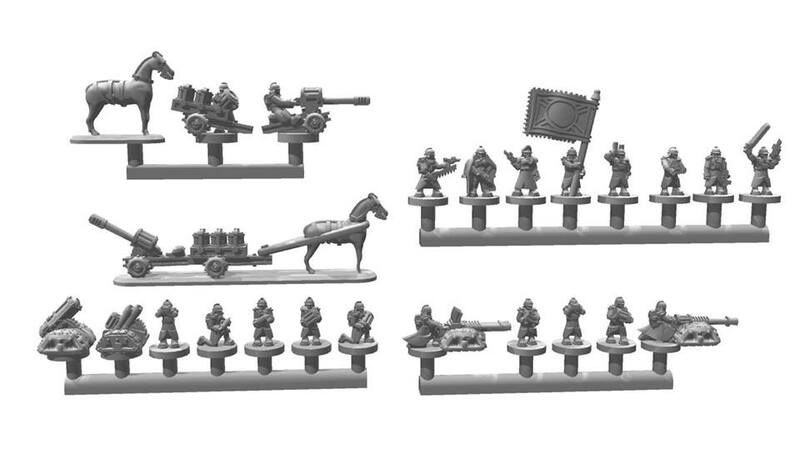 Due to continued issues with the winter castings I've commissioned a revamp of the entire line starting with the rifle troops which have been updated and strengthened these will be off to the casters this coming week ETA on back in store would be 4 to 6 weeks depending on how busy the casters are. New winter rifles prints below. Next will be the specialists set and then the Grenadiers and Cavalry, after that I've an idea to add a new edition to the range. Novan regulars Firestorm assault tank released. Maybe, early days yet. I want to utilise the early troublemaker vehicles in a "Dunesque" campaign as I think they very much capture this in their design. Thus, it will be various factions fighting over scares resources on a desert world. The Novan winter infantry (third edition) are now back in stock check them out here. Novan Regulars Urban troops now released. Also back in stock this morning is the Mk2 6mm winter specialists set, next up for a re-vamp in the winter range will be the old winter royal marines. I love that engineering tank, looks awesome. What's the typical time from print-to-cast? Totally dependant on funding really. At this time the turn around at the casters has been less than two weeks, having said that the engineering tank should be out sometime next month with luck as well as these updated figures and a few other items.